For three years, from May 2017 to May 2019, Britten Sinfonia and Thomas Adès will perform all nine Beethoven Symphonies. 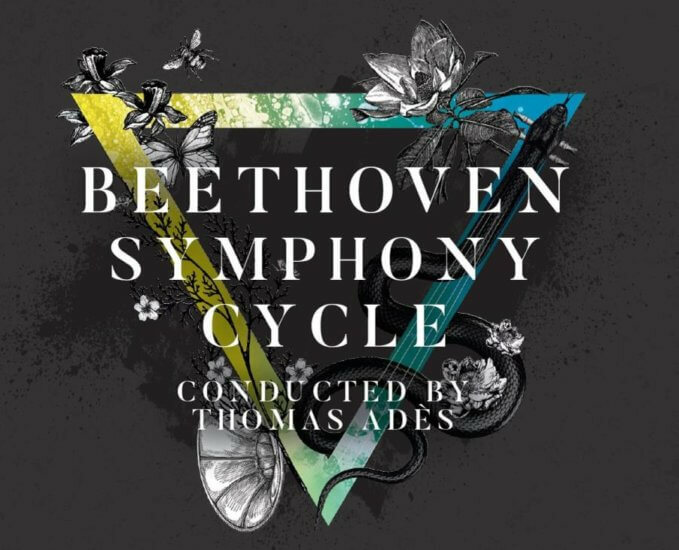 With such a groundswell of support, we now plan to release a CD box set of live recordings of the entire Symphony Cycle with a major label in 2020. This will coincide with the 250th anniversary of Beethoven’s birth. In addition to this, BBC Radio 3 will record and broadcast all concerts. We are confident that this release will become one of the most exciting interpretations of these iconic works ever recorded. We are asking for your help in supporting this thrilling, large-scale project. We have already secured funding towards the recording, and we are seeking to raise a further £150,000 from a group of donors towards the significant additional costs involved. – Credited as a Beethoven Cycle supporter in our programmes and on our website (or you may choose to remain anonymous). – An invitation for two to an exclusive Britten Sinfonia Beethoven pre-concert drinks reception (not including concert tickets). – An invitation for four to an exclusive Britten Sinfonia Beethoven pre-concert drinks reception. – Four complimentary tickets to a Britten Sinfonia Beethoven concert at the venue of your choice. – A signed advance copy of the complete CD box set of recordings. – An invitation for four to all Beethoven pre-concert drinks receptions. – Four complimentary tickets to all remaining Britten Sinfonia Beethoven Symphony Cycle concerts. – An invitation for four to the CD box set launch event. – An invitation for four to an exclusive post-concert backstage reception at the Barbican, to meet the players and artists.